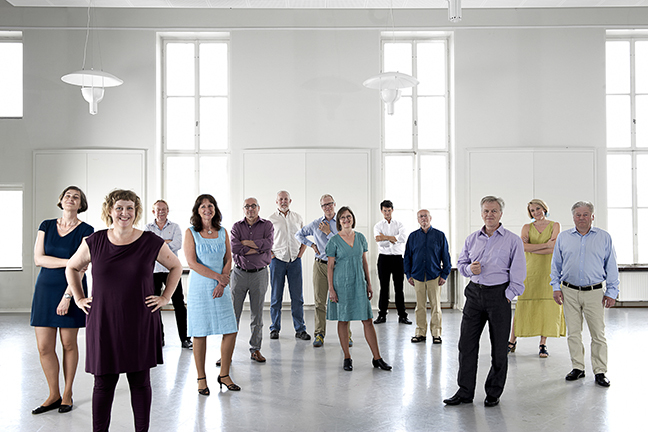 The Rilke Ensemble was formed in 1980 with the distinct purpose of establishing a forum for a sort of vocal sinfonietta of individual choir song, trying to expand the concert form, vocally and spatially, without setting boundaries. The voice of each individual and its personal features are allowed to come alive through the music, as in an instrumental sinfonietta. The Rilke Ensemble frequently collaborates with instrumental musicians, actors and painters with the aim to find new ways of working. They also have close contact with composers writing new vocal music and trying new forms as well. Professor Gunnar Eriksson, initiator and conductor of The Rilke Ensemble, was trained at the Royal Music Academy in Stockholm, and is one of the most recognized pupils of the world famous choir leader and Polar Music Prize winner Professor Eric Ericson. Professor Gunnar Eriksson teaches at the State College of Music and the State Opera College at The University of Gothenburg. Professor Eriksson is also the leader of The Gothenburg Chamber Choir.